Mathematical and computer modelling, 40 (7-8), 729-734 (2004). 23- Niethammer M, Betelu S, Sapiro G, et al. International Journal of Computer Vision, 60 (3), 203-224 (2004). Mathematical and Computer Modelling, 37 (3-4), 395-403. (2003). Applied Mathematics Letters 16 (8), 1315-1320 (2003). "Boundary control of PDEs via curvature flows: the view from the boundary, II"
Physical Review Letters, Vol. 87 No. 7 (2001). Physica D, Vol. 151, pp.228-252 (2001). Physica D, 138, p. 344-359, (2000). Pattern Recognition, Vol 34 pp. 943-952 (2000). Lect Notes Comput Sc 1842, pp. 742-754, (2000). Physical Review E, Vol 63 (2000). Physica D 126, p.136 (1999). Applied Math. Letters, 13, pp. 119-123 (2000). Int. J. for Numerical Methods in Fluids 25, 1, (1997). Phys. Rev. E 53,.3563 (1996). 1) 1989-1994: BS in Physics at UNCPBA, Argentina (Universidad Nacional del Centro de la Provincia de Buenos Aires). Thesis: Columnar to Equiaxed Transicion in Aluminum base Alloys. 2) 1994-1997: Ph.D. in Physics at UNCPBA, Argentina. 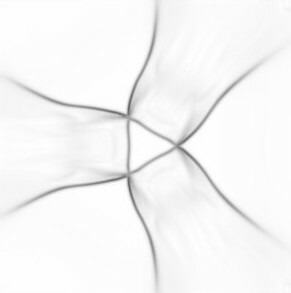 Thesis: Plane Stokes Flows near singular points of the free surface. 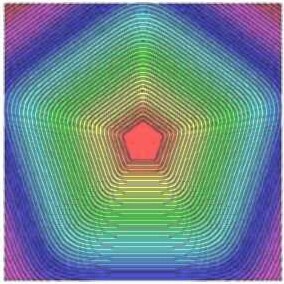 1- Theoretical Fluid Mechanics: simulation of the spreading of viscous liquids on plane substrates. Computations with boundary elements methods, finite differences and construccion of explicit solutions to the Stokes equations. 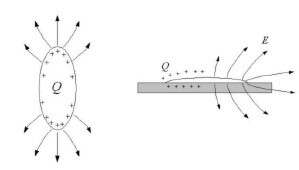 2- Experimental Fluid Mechanics: design and implementation of optical diagnostics based on interferometry, schlieren and shadowgraphy for the measurement on viscous flows. Experiments in spreadings and cusps formation in flows of small Reynolds number. 1- Experimental ellipsometry for the measurement of ultra-thin films of fluids on silicon substrates. Developped software for analysis of ellipsometric data. Preparation and cleaning of silicon surfaces and theoretical modeling of liquid crystals spreading. 2- Design of optical measurements and experiments for the measurement of line tension including fabrication of silane monolayers, and design of an interferometric microscope. 1- Modelling of porous medium flows with 2D finite differences, numerical renormalization and ENO discretizations, and construction of exact and approximate 2D selfsimilar solutions for thin film flows of viscous liquids on plane surfaces. 2- In collaboration with the Electrical and Computer Engineering Department, I did research on skeletonization of planar shapes, symmetry detection in digital images, image enhancement and processing of 3D data. 1- Image processing, smoothing of 3D textured surfaces, Mathematics in Multimedia. 2- Scaling and self-similarity in fluid mechanics. Gasdynamics and porous medium flows. Thin films and lubrication approximation. Micromagnetism and Landau-Lifshitz equations. Development of numerical techniques. 1- Applied fluid dynamics. Lubrication theory, spreading of liquids on solid substrates, partial differential equations of nonlinear degenerate diffusion. 2- Numerical analysis of the Allen Cahn equations applied to the curvature flow of curves with triple joints: finite differences methods and boundary value problems. 3- Electrically charged fluids with free surfaces: lubrication theory, boundary elements methods and asymptotic analysis. 4- Variational methods for image interpolation. 5- Study of the dynamics of electrically charged fluids. 1- Design of algorithms for image processing based on partial differential equations. 2- Fractal patterns in fluid flow. 3- Study of the shape of the free surface of charged anisotropic and multiphase materials. 4- Investigation on automatic PDE solvers. Assistant Professor at the UNT: I teach courses of Calculus, Differential Equations, Probabilities, Statistics, Numerical Analysis. I also directed the thesis of Orestis Vantzos entitled "Mathematical modeling of charged liquid droplets: numerical simulation and stability analysis". I also created a new course on numerical analysis (contents here). Visiting Assistant professor at the Mathematics Department of the University of Minnesota. I taught courses in Partial Differential Equations with Applications, an introductory course of Precalculus, and College Algebra and Probability. 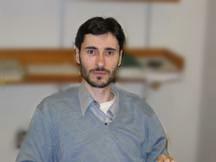 I was responsible for the lectures, organizing the teaching assistants, and preparing the exams (1998-2000). This last year I was the coordinator of the course. Teaching Assistant at the Universidad Nacional del Centro (UNCPBA), Tandil, Argentina. responsible for laboratory and problem-solving sessions (1992-1997). 1- Design of optical measurements with interferometry, schlieren and ellipsometry. 2- Digital image acquisition and processing. Data analysis. 3- Preparation of silicon substrates and fabrication of silane monolayers. 4- Design of experiments in fluid mechanics. 5- Numerical simulation in fluid mechanics with finite differences, boundary elements methods, FFT methods, ENO (essencially non-oscillatory methods), Riemann solvers for gasdynamics, numerical renormalization and fast marching algorithms, octrees for N-body computations as Barnes-Hut and modifications. Numerical methods applied to image processing. 6- Construction of new explicit solutions for partial differential equations in fluid mechanics. 7- Design of algorithms for image processing. 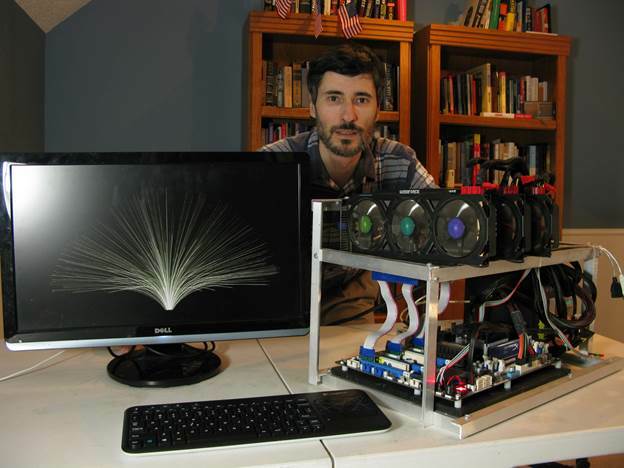 8- Construction of inexpensive, passively cooled GPU systems for physical simulations and education. 9- High Performance Computing with Infiniband, Data Vortex and GPUs. at the Supercomputing Institute of the UMN, at the UNT and UT. I programmed mainly codes for numerical simulations in fluid dynamics, biology, quantum mechanics and signal processing.